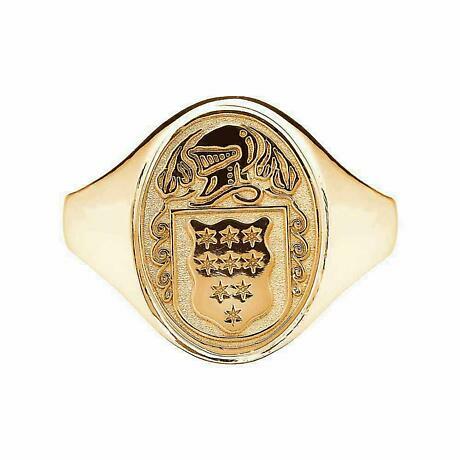 This heavyweight Irish Coat of arms ring is ideal for the man who loves to display his proud heritage. 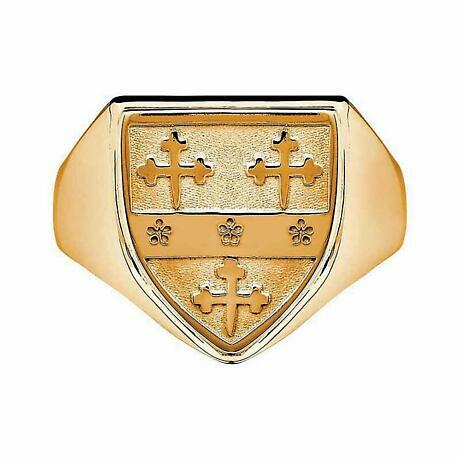 Your family arms is expertly rendered on a solid oval ring in your choice of 10k or 14k Gold or Sterling Silver. A perfect heirloom gift which can be passed down to future generations. A great Irish gift idea for Graduations, Weddings, Father's Day and more. Matching Ladies Ring IJBR10346 also available. 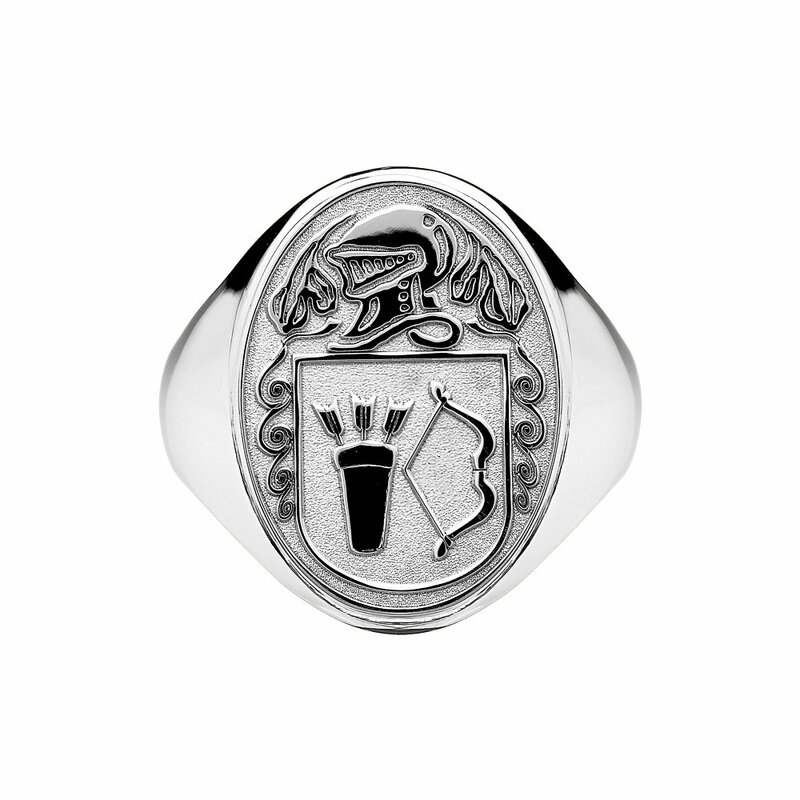 Artwork from our extensive database will be provided for approval before work begins on your invidually made jewelry, or you may send us your own prefered artwork. This item is made to order. Please allow approx. 14 working days to be completed. Comes in a presentation box. Hallmarked for authenticity by the Assay Office in Dublin Castle. Measures approx. 0.5 inch tall x 0.4 inch wide. Weight approx. Sterling Silver 13 grams 10k Gold 15.7 grams 14k Gold 16.5 grams.